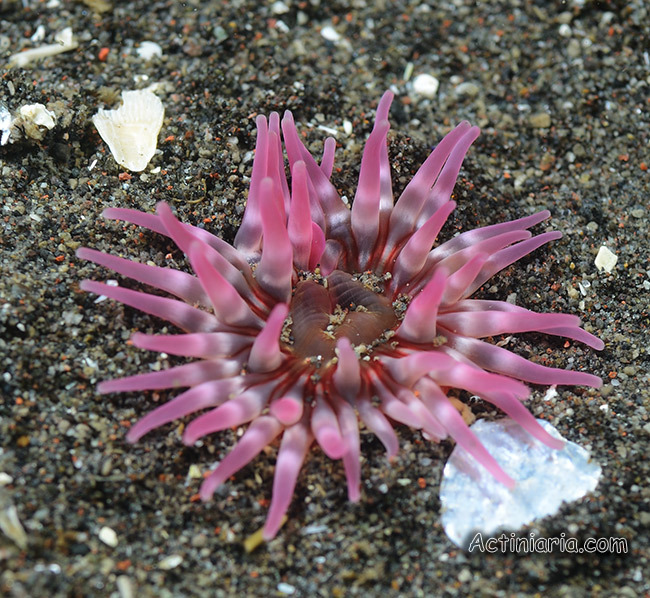 The first specimen of this small sea anemone was observed by us (Nadya and Karen Sanamyan) in the intertidal pool on the shore of Avacha Bay in the vicinity of Petropavlovsk-Kamchatsky about 15 years ago, but it was lost in the sand when we attempted to collect it. A few years latter, in 2004, several specimens were photographed underwater by Nadya Sanamyan near Starichkov Island, and one specimen was collected. It was successfully kept in aquarium for several months. 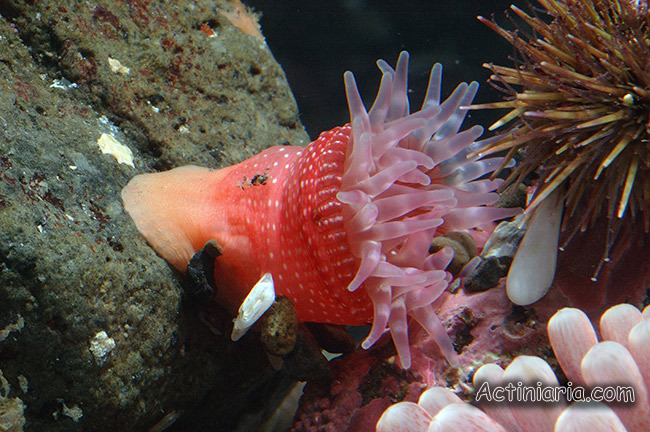 Externally this beautiful specimen, with its pink tentacles, was not similar to other species of sea anemones known from the coasts of Kamchatka. Its morphology agreed with the features of Aulactinia, a genus difficult from taxonomic point of view and comprising many species (including most species formerly belonging to Bunodactis), but its specific assignment could not be determined at that time. In 2014 we were able to find many specimens of this species which were photographed underwater and collected. This material has allowed us to study details of the morphology, access a range of variations, and to describe a new species, Aulactinia vladimiri. SANAMYAN N.P., SANAMYAN K.E., BOCHAROVA E.S. 2015. 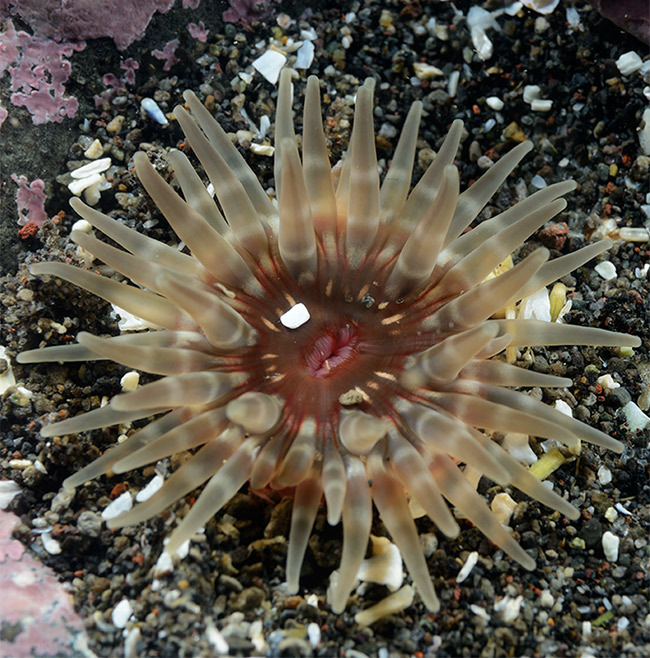 Aulactinia vladimiri, a new species of sea anemone (Actiniaria: Actiniidae) from Kamchatka waters, North-West Pacific. - Invertebrate Zoology, 12(2): 117-130.